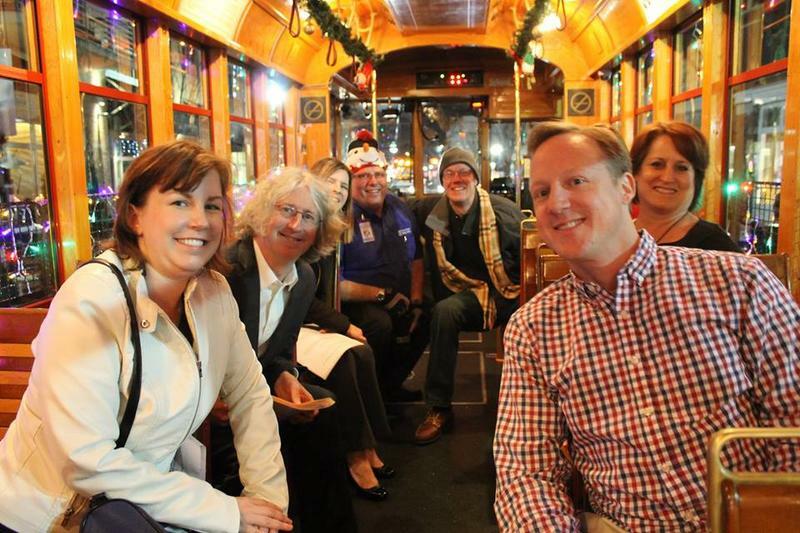 Participants in Arts & Letters' trolley episode pose for a photo. 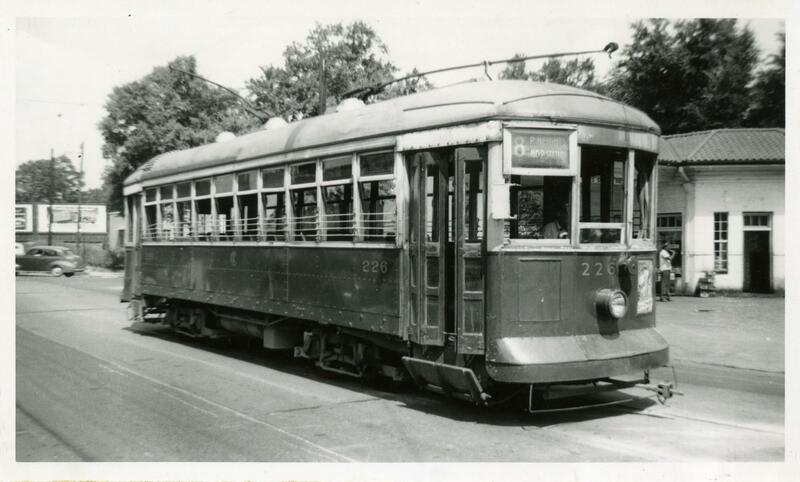 A streetcar from Little Rock's past. 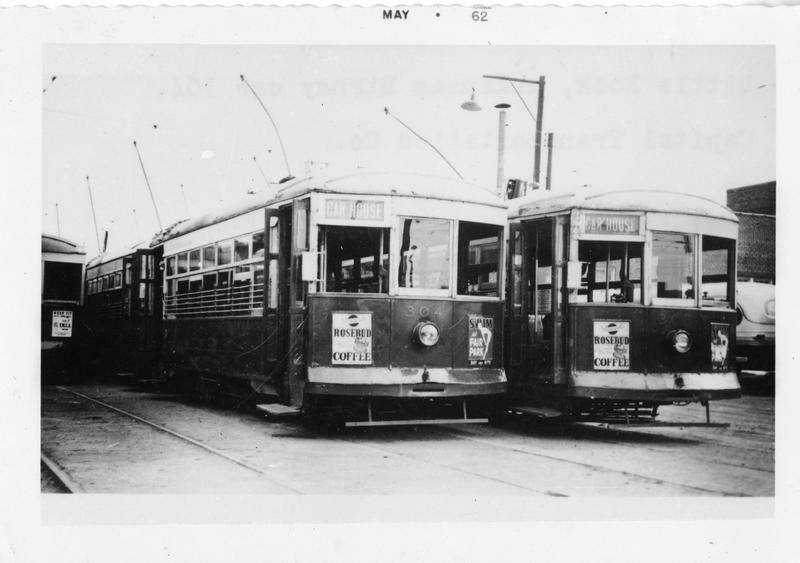 More streetcars from Little Rock's past. 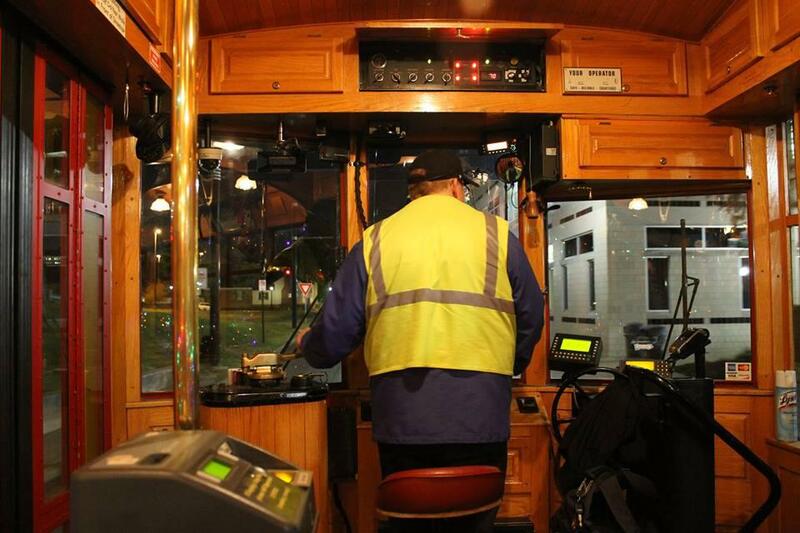 Along the streetcar rails we enounter a cast of characters, who tell of the cities' history bound up in the brick and mortar of the buildings—filled with ghosts and song. 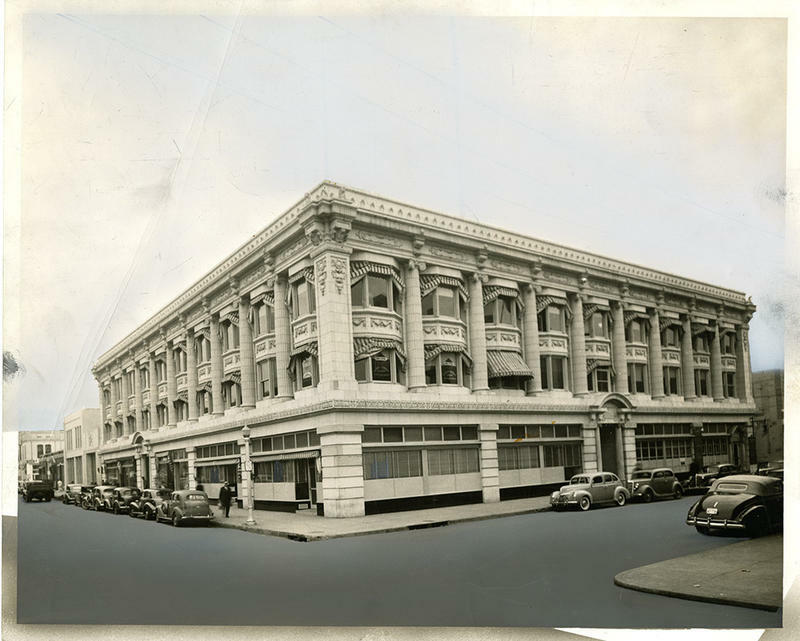 Along the way, we learn about the markets and specialty shops of the Rivermarket's old Arcade Building, the sometimes violent political fights of the Old State House, famed guests of the Capitol Hotel, the origins of structures north of the Arkansas River, and much more. Our guide is University of Arkansas at Little Rock Center for Arkansas History and Culture archivist Shannon Lausch. 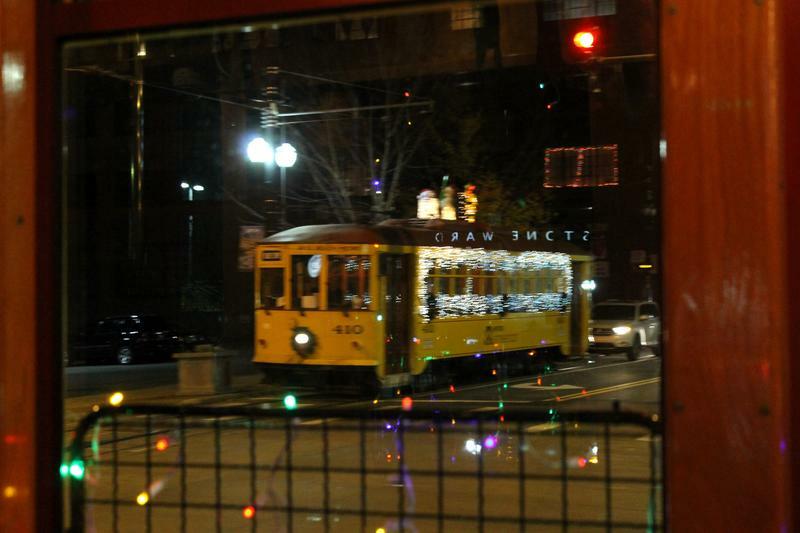 We're also treated to a dose of holiday cheer from musicians who hop aboard our streetcar. Our thanks go out to Amyjo Savannah, Brian Nahlen, the Sisters of Harmony, Stephen Winter, and Charlotte Taylor for their contributions. 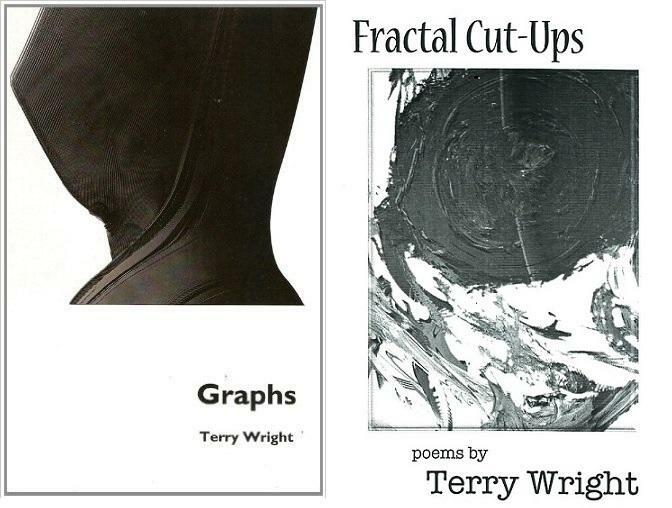 Support for this program was provided by the Arkansas Humanities Council and the National Endowment for the Humanities. 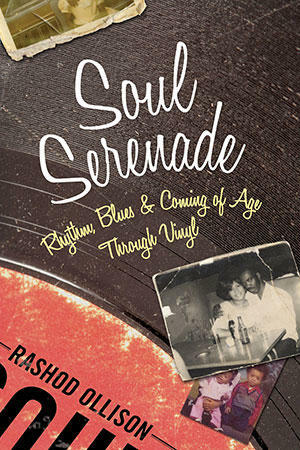 Today on Arts & Letters, we talk with journalist, researcher, and professor Donna Lampkin Stephens. 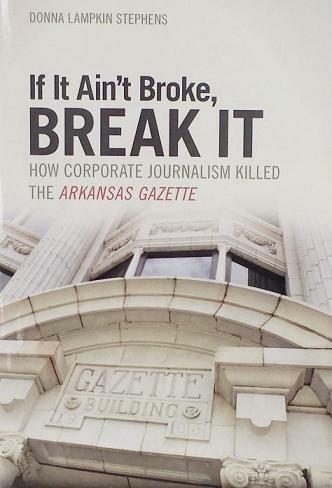 Her book, If It Ain't Broke, Break It: How Corporate Journalism Killed the Arkansas Gazette, published by the University of Arkansas Press in 2015 "offers a firsthand account of how and why the Arkansas Gazette, then the oldest newspaper west of the Mississippi River, died after perhaps the country’s last great newspaper war." The story of the Arkansas Gazette ended on October 18, 1991, with paper's sale to its rival, the Arkansas Democrat. The story shows a typical transformation of an American newspaper from independent, local ownership to remote corporate control that illustrates what happened to many American newspapers in the generation following World War II. Wounded by the fiercest newspaper war in the United States, former publisher J. N. Heiskell's heirs sold the Gazette to the Gannett Corporation in 1986, the country's largest newspaper chain.